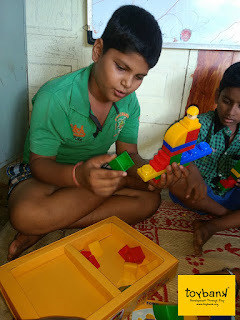 Children at the Tata Memorial are super happy when they get to play with the wonderful games and toys they have in the Toy Room. 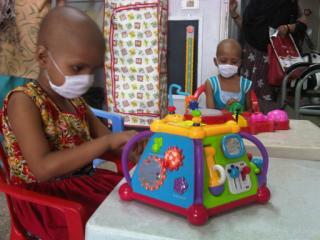 It's been a great experience for Toybank to set-up the Toy Room under V Care Foundation at the Tata Memorial Hospital! "The children thoroughly enjoy playing with the games, specially hungry hippos. The toy room comes up alive while playing with it. 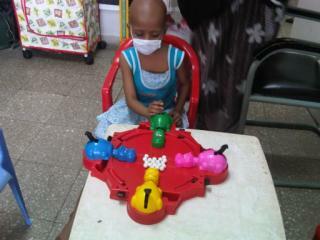 Also the young infants are enjoying playing with the colorful toys that u have given us. The car racing set also is enjoyed by a few grown up boys. 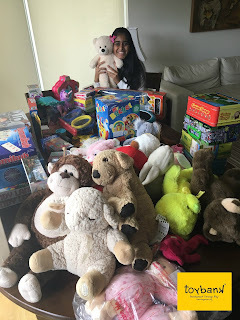 Looking forward to your continued support"
Toybank replenishes the toys in the toy room with new toys every 3 months for the little ones at the Hospital. Do get in touch with us on farnaza@toybank.org if you'd like to donate toys specifically for the children at Tata Memorial Hospital. Avoid letting young children play with toys that have magnets. Warn older children to never put magnets in their mouth.